These quick and easy Instant Pot Chicken Teriyaki Bowls are a one pot meal! 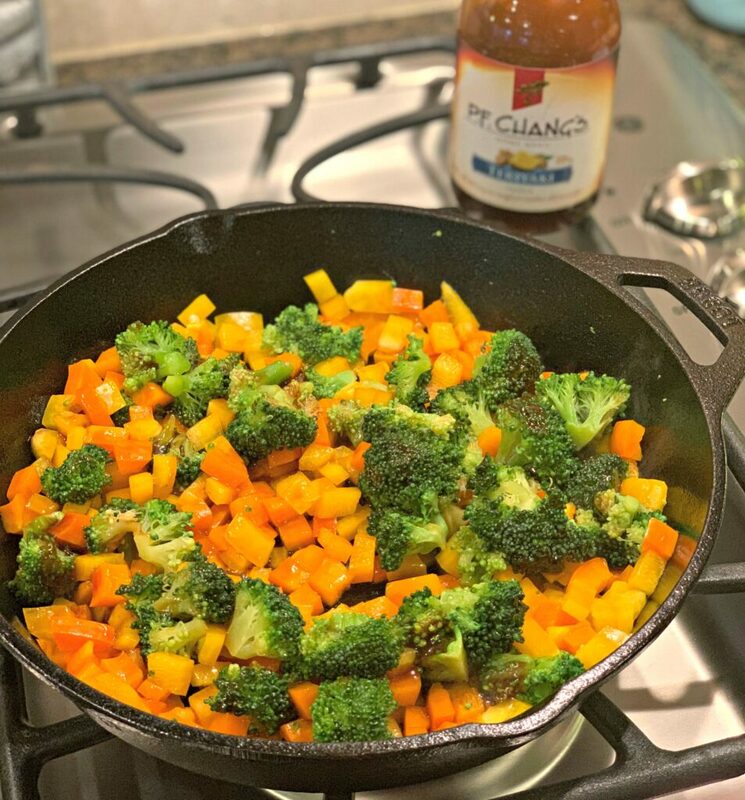 Heathy veggies, chicken, rice, and sauce…..this meal takes less than 30 minutes from start to finish! 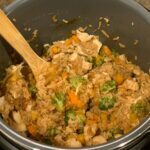 Being an Instant Pot lover, I try to incorporate at least 1-2 meals each week into our meal plan. Not only is it a huge time saver, but clean up is always a breeze! Recently, I bought a non stick pot in place of the one it came with. HUGE improvement on things sticking to it, clean up, etc. Life changing in fact, haha! I have found that the flavors in an Instant Pot versus slow cooker are almost always much more enhanced too, so its a win win all around. Last week, I was in the mood for something quick and easy for dinner. I had tons of veggies in my refrigerator from the grocery shopping I had done the day before, so I knew I wanted to incorporate those. When I rummaged through my pantry, I found a bottle of the PF Chang’s Teriyaki sauce that I bought a while back. My original thought was to make a stir fry, but I decided to make it even more simplified by going the Instant Pot route. I didn’t do any prep prior to dinnertime, yet by the time my hubby walked in from work, I had this on the table in less than 30 minutes. That included the time to chop up all the veggies and time it took to pressurize the Instant Pot! Impressive, right?! I used Jasmine rice in this recipe because its a favorite of ours, but if you want to use brown rice, you easily can. Just be sure to add a bit more water (additional 1/2 cup) and cook time (about 20 minutes). 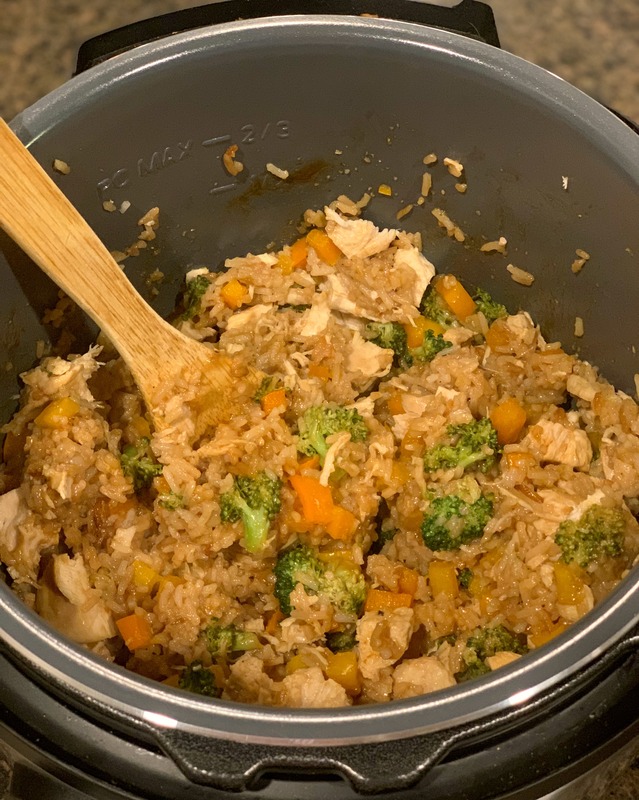 These quick and easy Instant Pot Chicken Teriyaki Bowls are a one pot meal! Heathy veggies, chicken, rice, and sauce.....this meal takes less than 30 minutes from start to finish! Add the water and rice to the bottom of your Instant Pot. Place chicken on top of rice and season evenly with garlic powder and ginger. Pour 1/4 cup teriyaki sauce on top of the chicken and place lid securely on Instant Pot ensuring valve is in sealing position. Cook on high, manual pressure for 5 minutes, followed by a 10 minute natural pressure release. While Instant Pot is cooking, heat oil in a skillet over medium heat. Add in the bell pepper and broccoli and cook for about 5 minutes or until tender. Set aside. Do a quick release after the 10 minute natural pressure release and open the lid oncen pin drops. Remove chicken and shred or chop (based on preference). Add the chicken back to the pot and stir in the veggies as well. Add the remaining teriyaki sauce, tossing to coat thoroughly. You can simply omit the veggies and use white rice in this! Just omit the vegetable step! Enjoy! My IP prompted about 3 minutes in that it was burning.. any tips?? Hmmmm, did you add the rice and water first? Try stirring the rice and water around a bit to full incorporate. Shouldn’t burn, especially that fast because of all the liquid on the bottom. So sorry that happened! I don’t have an instant pot. Can this be made on the stove or in a crock pot? Yes to the crockpot! Add in pre cooked rice at the end, but you can cook the chicken in the slow cooker for about 5 hours on low. Add the veggie in about 1-2 hours into the chicken cook time. Shred chicken and add in the rice at the end! Enjoy!